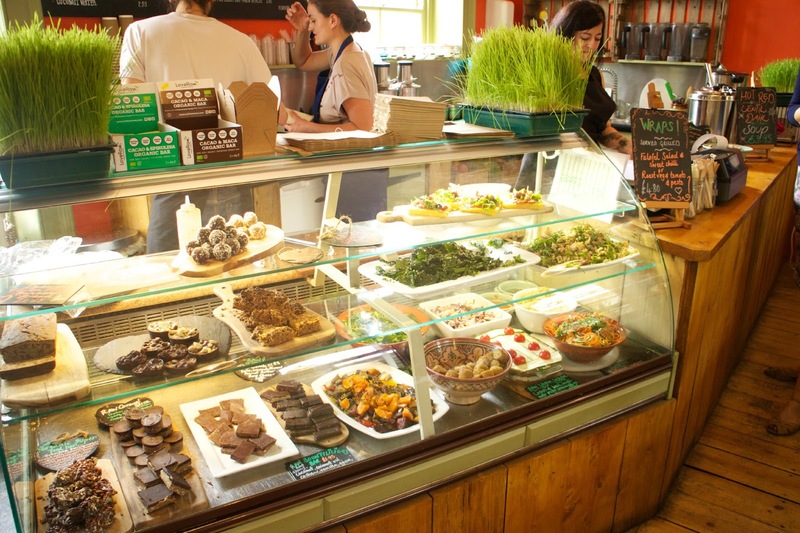 Health food stores, café's, juice bars and restaurants are so in demand with the current rise of healthy lifestyle writers and bloggers, yet pretty far and few between. This is especially true when you're not living in a mammoth city like London, New York, LA etc. 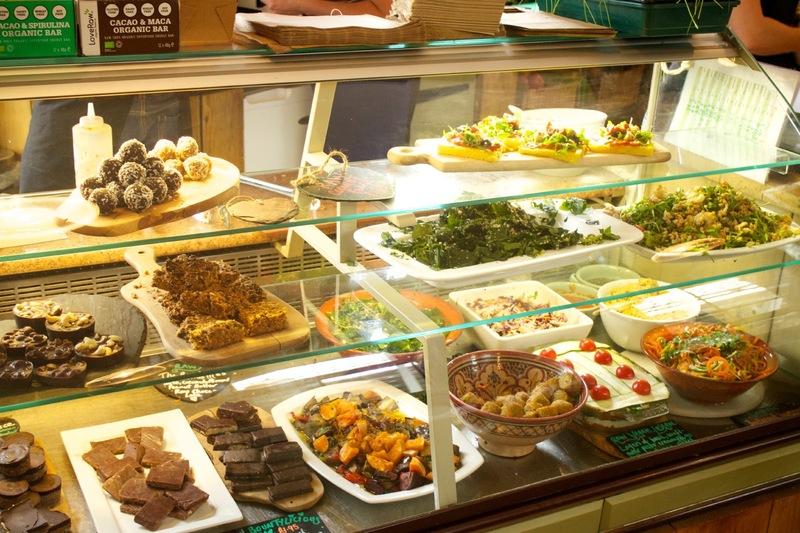 In the UK in particular, it's pretty damn rare to find anywhere to find super foods, healthier snacks and bites to eat, apart from the odd Holland & Barratt store somewhere along the high street (and even then, the stock is pretty limited). 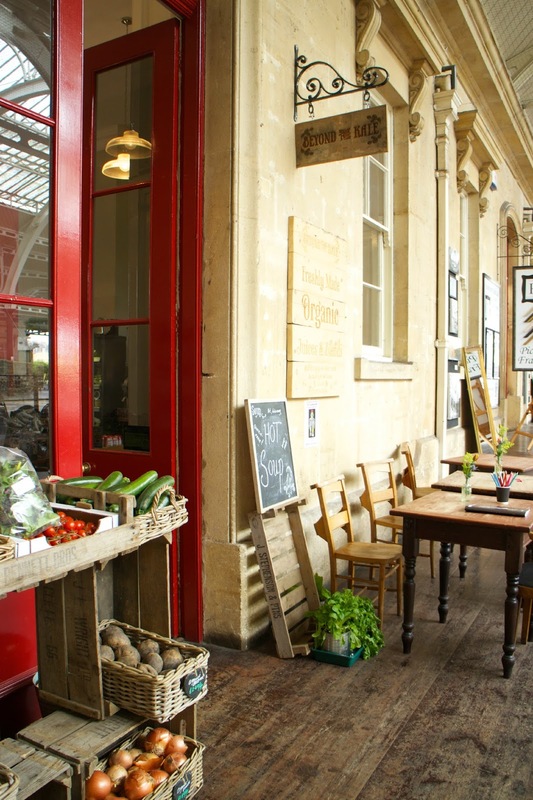 In Bath, we're all rather lucky to have a good handful of vegetarian and vegan café's and whole food/super food shops. The real gem is, however, Beyond The Kale. 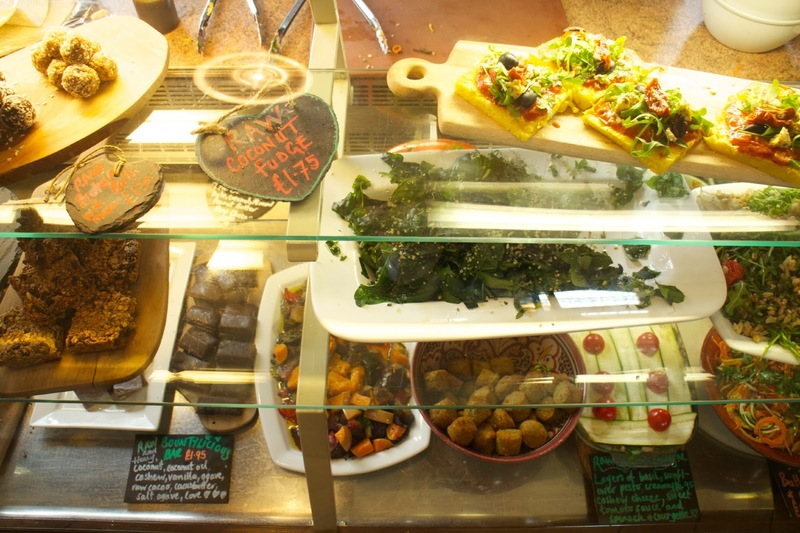 When it popped up last year, I couldn't wait to try all their different juices, 'blends' and tasty freshly made vegan meals. Not only that, they're a one stop shop for all Organic, essential ingredients for you to whip up your own tasty treats at home. 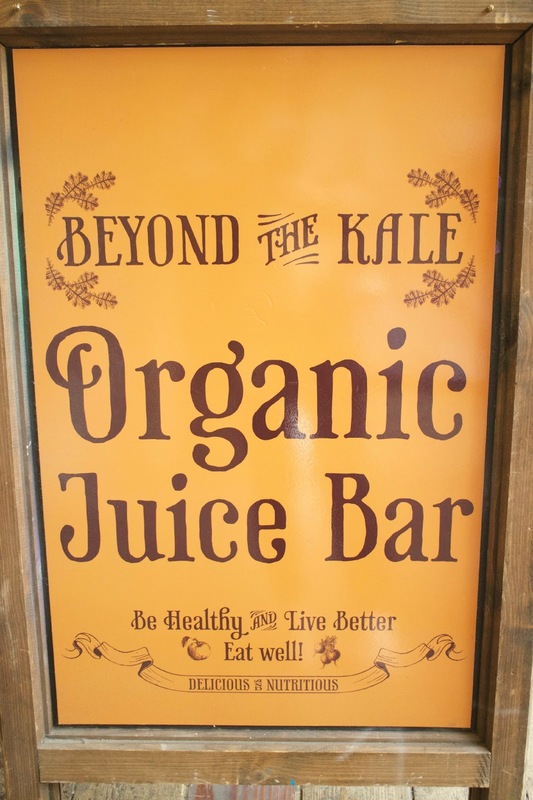 How did Beyond The Kale first come about? We used to run juice bars for events and had a market stall at the Farmer's Market here. We ran that through til two Winters ago, and this shop became available while we were there. We decided to expand with the juice and introduce more foods, whole foods, all things plant based. We really liked the building here, and thought it would be a nice place to open the shop. Do you think Bath in particular is quite a good location for a place like this? You're a little bit limited to these sort of places. There's Harvest on the other side of town and a couple of whole foods shops. More and more people are becoming aware of eating more plant based, having a more healthy lifestyle. It's just building awareness. We'd be busier somewhere else, especially initially but we get lots of people coming through [Green Park - there's a big market every weekend on Saturday's and Sundays]. But it is going really well for us. What would you recommend for someone who's never been to Beyond The Kale before? The Purifier smoothie is really popular. Obviously with our name Beyond the Kale, we try and get lots of greens into our drinks but then disguising them in a way so you're not really tasting those green flavours, which often puts a lot of people off. Once you've tried these drinks you realise that actually, it doesn't taste too bad. So, definitely the green blends we do are really worth a try. The Purifier, the Vitamin C boost, we also do a Super Green juice as well. The whole ethos as a shop is to pack in as much nutrient dense ingredients, especially with the drinks. What tips would you give to someone who wants to start a plant based diet? From how we started, I'd say just start experimenting with new things. You need to be quite organised with your food if you want to move that way, it just takes a little bit of organisation. Do lots of research into what you should be getting from your food and what you're looking for from your food. A little bit of preparation, a bit more thought going into your diet and what you want to eat. Setting yourself up with a few good kitchen basics as well. So, we use the Vitamix blenders, which are a little bit expensive but they do so many good things. Especially if you want to get a lot of nutrition into your diet and have it quite quickly and easily. A good juicer, too. Then it's just the case of finding what you like and how you like to eat. Through the summer it's quite good to start a raw, plant based diet, which is a bit difficult in this country where it's cold all the time. Although it's a good diet, it can be difficult as you start craving hot foods. So, maybe with the summer coming it's worth trying a raw diet. You kill so many nutrients when you heat food. It's important to get as many nutrients in per calorie. What key ingredients would you recommend always having if you want to make really nutritious foods? A good starting point would be getting lots of Organic fruits and vegetables. We really promote the Organic side of things here because so many foods are processed now, especially with fruit and vegetables with chemicals and pesticides and things are added to preserve their shelf life. So, go Organic is you can and if you can afford it. Other good things are beans and pulses. Nut butters are good, nutrient dense foods. Nuts on their own. Another good thing to make at home if you're trying to avoid dairy are nut milks - we make our own almond milk here. They're really easy to do if you've got a good blender. It's just the case of soaking nuts over night, draining them off, adding mineral water to them, blitzing it up and then draining through a nut bag. I think a lot of people think these things are quite complicated to do, as we did when we first started. My big thing is foods in their natural state. It's all about finding as many foods with as little extra added to them , and that would be my real big tip. Quinoa is another good thing. A lot of people say "where am I going to get my protein from if I'm not eating meat?" There are lots of beans and grains, fruits and vegetables that have got lots of protein in them. But it's getting a variety of food in. Quinoa is one of the few foods that is a complete protein, and has a full spectrum of amnio acids too. Would you say there's a common misconception when it comes to eating healthy foods? With things like meat, fish and dairy, a lot of people think you're going to be very limited to what you can and can't eat. It does seem like that sometimes when you first start out, especially if you eat out a lot. 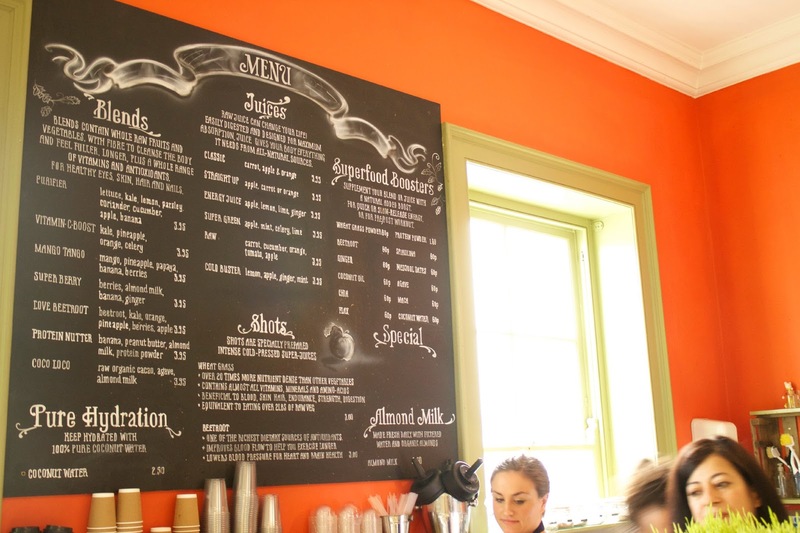 In Bath, you've got places like Acorn and Green Rocket, plus there are vegan options out there. I think the big thing is people look at what they can't eat rather than all the new things they can eat. It's changing your mind set really. If you have the mindset that you can't have this and that, you're going to struggle a little bit. You need to open your mind up to all the new things you can eat. One of the things I advocate on my blog is eating an 80/20 way of life and allowing yourself to indulge occasionally. What is your view and do you indulge in anything in particular? The thing is just making sure you get a really good balance. Especially if you're starting out on a plant based diet, it can be a bit like "this is all I'm ever going to eat". Sugar is in lots of things but we do have a lot of sugar free options here, for instance, the CoYo yoghurts we do. They're just like a treat and taste great. It's just the case of getting a really good balance with your food. With alcohol, if you want to go out and let your hair down now and again, it's no big deal when you're eating well most of the time. Where you're going to struggle is if you feel you can't have all these things, and you're 'not allowed' these things. Once in a blue moon, it's absolutely fine. Don't beat yourself up about it too much. What do you think about alkaline diets and such, as they've gained lots of attention. Do you think they're good or would you say they're just another fad diet? There's a lot more research out there that indicates that most of the time, the food we're putting into our bodies affects the acidic environment. To be a little bit more alkaline is not really a bad thing. I think it's a good thing. It's finding the thing, especially if you're a bit reactive, and make your body a bit more acid. But again, it's finding that balance if you're thinking you can't have this and you can't have that. You need to do these things gradually. I don't think it's a fad, because if you look into the medical profession now, there's more and more research now to suggest cancers will thrive in an acidic environment. If you alkalise your body, those cancer cells won't grow. There's lots of good research coming out now saying we should make our bodies a bit more alkaline. What is your opinion on being gluten/dairy/sugar free being more of a fashion statement these days, rather than being a genuine concern for some people? With people like Deliciously Ella, it's very much in the public eye. But, I think a lot of people are, without even realising, that they are a little bit gluten intolerant and have certain dairy intolerances but they don't even know it. I think it's raising awareness, and now people are trying these ways of living for two weeks and discovering when they introduce it back into their diet, that they are actually intolerant. I don't think this awareness is a bad thing. I think lots of people are actually wheat intolerant without even knowing they are. You feel so much better if you cut out wheat and gluten. Gluten acts like chewing gum in your tummy, binding everything up. Lots of people will not even realise that's going on, or they wonder why their tummy aches and feel quite low. Sometimes it can be the case of tweaking your diet slightly. Again with dairy, lots of people think it's really good for your bones but again it's forming an acidic environment in your body. If you're consuming lots of milk because you think it's good for your muscles and your bones, what it's doing is 9 times out of 10 leaching the calcium from your bones and neutralising your system. If it's raising awareness, it's got to be a good thing. Although it is a little bit faddy at the moment, if it's helping people it can't be a bad thing. That sounds amazing! I'm in Toronto, and although we have Whole Foods, finding nice independent shops ins't the easiest task (one of the largest ones was just in the news after a juice bar employee was found to have hep. a. yikes!). This post was great, and I learned a lot. I never realized how harmful milk/dairy could be for you. My granddad worked in a dairy, so I've always grown up drinking tons of milk--maybe it's time to cut back! It's such a shame that little places like this are so difficult to find. I'd totally jump at the chance of making my own cute little place! I'm so jealous you have a Whole Foods though! I'm so glad you learnt new things from this, yay! This looks amazing, although I am gutted I've missed out so far. I adore kale, but I've not had it in a juice, well not one I've made myself. Think as I often have it with my dinner with chicken, fish etc it seems odd making a juice with it! You've got to try it! Honestly, unless smoothies/juices are predominantly vegetables, you won't even taste the kale once it's blitzed up with fruits to balance it out. I'll try and whip up some delicious smoothie/juice recipes that include vegetables/kale etc. I know what you mean though, it does seem odd to start adding something that's usually on the side of you main meal! But trust me - once you try it, you'll love it, plus it's a great way to pack loads of amazing nutrients in. Thanks Lily! Of course, it's so important not to restrict certain foods by telling yourself they're 'bad' and therefore you must never have them. It'll lead to a vicious bingeing cycle if you're not careful. Everything in moderation, of course.